A new fan-created Super Mario character called Bowsette has taken the Internet by storm after one game trailer and a follow-up comic gave Mario fandom something it didn’t know it needed. 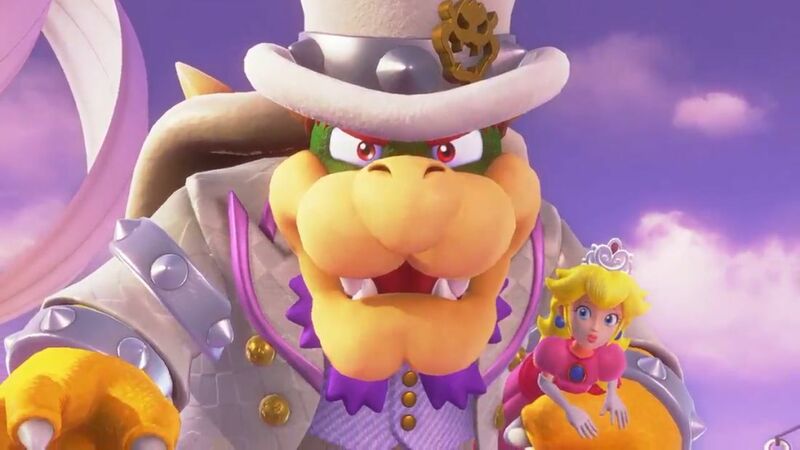 Bowsette is a character that combines Bowser and Peach, though you wouldn’t discern that from just the name alone which makes it seem like Toadette is part of the equation. She technically is, though it requires going back to Nintendo’s most recent Direct and the trailer that ensued for New Super Mario Bros. U Deluxe, a game that’s coming to the Nintendo Switch in January. In the game’s trailer above, Toadette is shown as one of the playable characters around 22 seconds in. She can find an item called the Super Crown hidden in blocks, headwear that transforms her into Peachette when it’s obtained. She gains new powers such as the ability to glide and rebound from a fall with players controlling a model of Peach until the power is lost. From that video, the implications of crowns that can turn Super Mario characters into others led to several different fan concepts that combined Peach with other supporting characters in the universe. Twitter user @ayyk92 took inspiration from the scenes in the trailer and created a short comic strip that showed Bowser, Mario’s antagonist and frequent Peach kidnapper, putting on a Super Crown after Peach spurned both his and Mario’s advances. From a trailer to an in-game powerup to a comic, we now have Bowsette, a Bowser-turned-Peach character that features horns and a much darker, edgier appearance than the Mushroom Kingdom princess’ usual look. Taking a page from New Super Mario Bros. U Deluxe’s book, the character has been named Bowsette despite not being directly related to Toadette. While it’s been pointed out that the proper name should likely be something more like Peachser, the name has stuck, and it’s taken off quicker than any Super Crown combination out there. After the artist created the character, others ran with it and have since been creating their own versions of Bowsette in too many different styles to keep track of. Not all of them – many of them, in fact – are wholly suitable for work though, or would at least turn some heads, so take care when exploring the trend that is Bowsette and other Peach creations. New Super Mario Bros. U Deluxe is scheduled to release on January 11, 2019 for the Nintendo Switch.